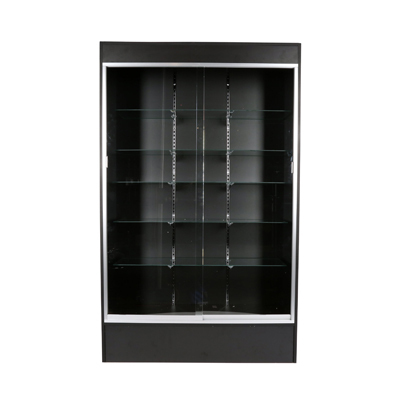 Display your finest merchandise behind a sliding glass door! This wooden showcase for retail is equipped with ample storage and display space. 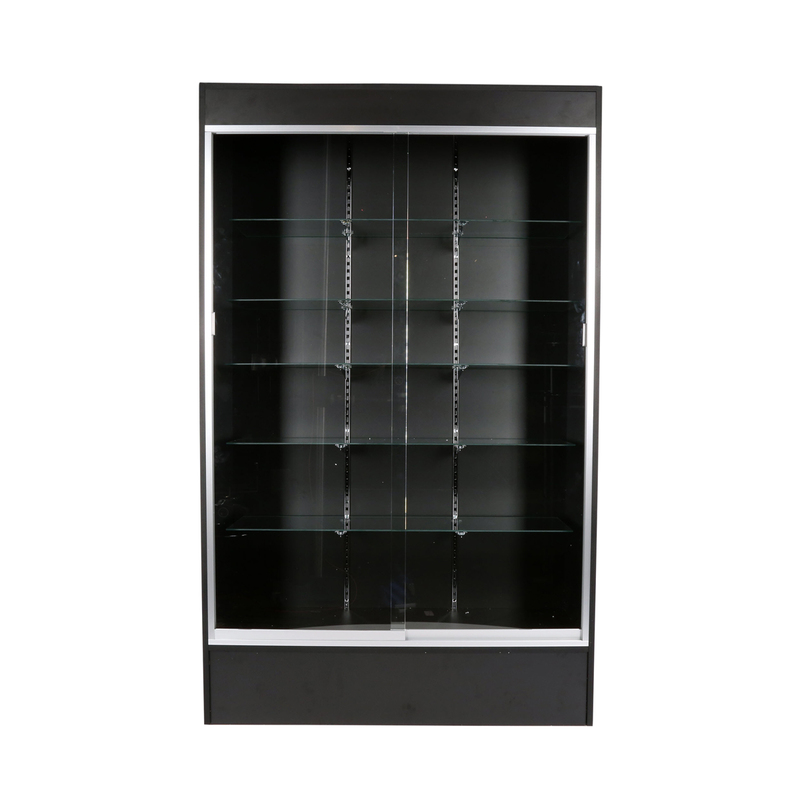 Case has 67 inches of vertical display area and includes 5 adjustable shelves made from tempered safety glass and a 1/4 inch sliding glass door. Display area is finished with an aluminum frame. Additional shelves are available, call for more information. For additional items, we encourage you to take some time to browse our entire selection of showcases for retail at Specialty Store Services today.